Now that the cold is beginning to bite and twilight is becoming permanent - it means only one thing; the infamous Ghost Walks from the Theatre of Dark Encounters is returning this Winter! 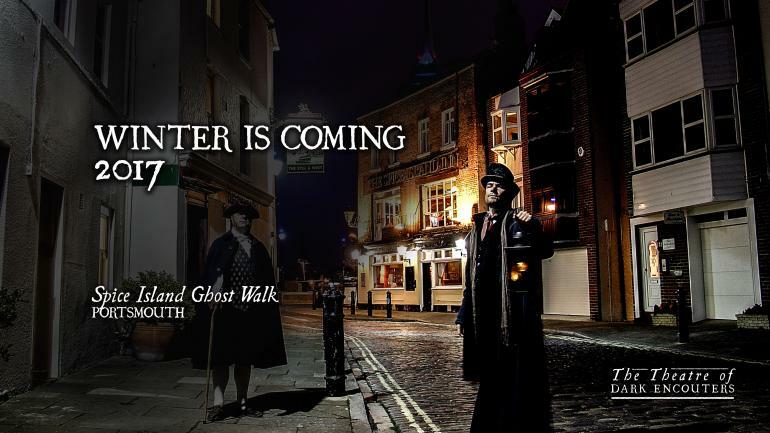 The original Ghost Walk of Portsmouth has been completely re-imagined and tells new stories of dark murder and horror exploring the darker history of those living within Spice Island area of Portsmouth. Now entering the 13th year of thrilling audiences on the twilight streets of Old Portsmouth these fully interactive tours pull you into the centre of the story and immersive you in Georgian England. Before very long you will understand why life in this era was referred to as the Bloody Code. Dont just read history - come and experience it for real. Theatre of Dark Encounters Ghost Walks run all Winter across the South of England.